Excellence. Powered By Our People. A company is only as great as those who create and sustain it. IBI Data is located in Brownsdale Minnesota in a 123,000 sq. ft. facility where our exemplary employees, averaging over 10 years with us, lend their collective expertise to support our 40 + blue-chip client portfolio. The Ryan Group is made up of knowledgeable professionals averaging over 16 years of industry experience. Located throughout the country, they are ready to help you develop and analyze your next go-to-market initiative. Every day, over 200 ongoing foodservice sales and marketing programs are executed that cover an impressive array of strategic initiatives — from web-based marketing activities to complex integrated foodservice programs — that uniquely combine direct mail and email marketing, product samples, sales SPIFFs, and telesales follow-up. IBI Data achieved an outstanding score of 950 out of a potential 1,000 points, among the highest possible, from AIB International. 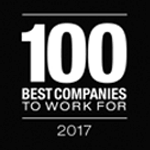 We are pleased to announce that IBI Data of Brownsdale, MN has been named one of the “100 Best Companies to Work for” by Minnesota Business Magazine. 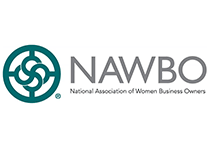 The National Association of Women Business Owners chapter in Minnesota chose to recognize Katherine Harte for her entrepreneurial vision and leadership. She has built her company from the ground up and the company continues to grow with the next generation of management. Her innovative spirit and ability to respond to challenges have served her well and has provided inspiration to her fellow NAWBO members. Katherine shares this wonderful award with the great teams at IBI Data and the Ryan Group. 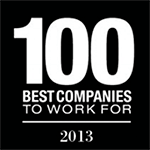 Brownsdale MN, June 9th, 2014 – For the third consecutive year, IBI Data in Brownsdale, MN has been named one of the “100 Best Companies to Work for” by Minnesota Business Magazine. The list of companies was compiled with the help of an independent research firm that leveraged employee surveys and other tools to determine which companies were worthy. We are pleased to announce that IBI Data of Brownsdale, MN was recognized as a “2014 Best Place to Work in Southeast Minnesota” sponsored by the SE MN Workforce Investment Board. We are pleased to announce that IBI Data of Brownsdale, MN was recognized as a “2013 Best Place to Work in Southeast Minnesota” sponsored by the SE MN Workforce Investment Board. 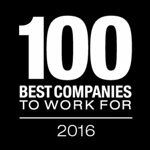 For the second consecutive year, IBI Data was recognized as one of the 100 Best Companies to Work For by Minnesota Business Magazine. 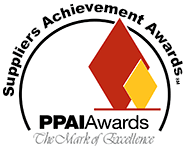 The award recognizes IBI Data as a business that makes an impact and sets the standard of excellence for others to follow in the state of Minnesota. Received Golden Pyramid Award in the business to business category for best promotion for developing and executing the General Mills Colombo brand foodservice promotion. In 2012, our twelfth year of helping the fight against cancer, our IBI Data team was once again recognized as the top fund raising team in the Mower County Relay for Life. We’re very thankful for the chance to do our part in the fight against this devastating disease. Over the past 10 years alone IBI has donated over 130,000 pounds of food to the Channel One Regional Food Bank plus many thousands more pounds to the local Salvation Army food shelf! We work closely with many caring food manufacturers and their products so the issue of hunger in America is especially close to our hearts. For their efforts toward a healthier lifestyle, IBI Data was spotlighted in the January 2012 issue of Mower Refreshed detailing the steps they take to promote wellness. Mower Refreshed is a county wide movement that inspires and ignites individuals and groups to promote health not healthcare. IBI Data received a Best Places to Work Award in Southeast Minnesota by a study commissioned by Workforce Development Inc. The program recognizes some of the best employers in our local area. Best Retention Program – IBI Data provides incentives including flexible scheduling, family-friendly policies, motivational and empowering work programs and employee-led improvements that help grow our employees personally and professionally. Since its inception in 1986, IBI Data has been owned by Katherine Harte. We recognize the commitment to supplier diversity that is embraced by corporations today and we add this important diversity to our clients' vendors. 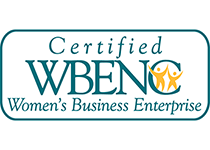 We’re proud of being a long-time, certified, women’s business enterprise.